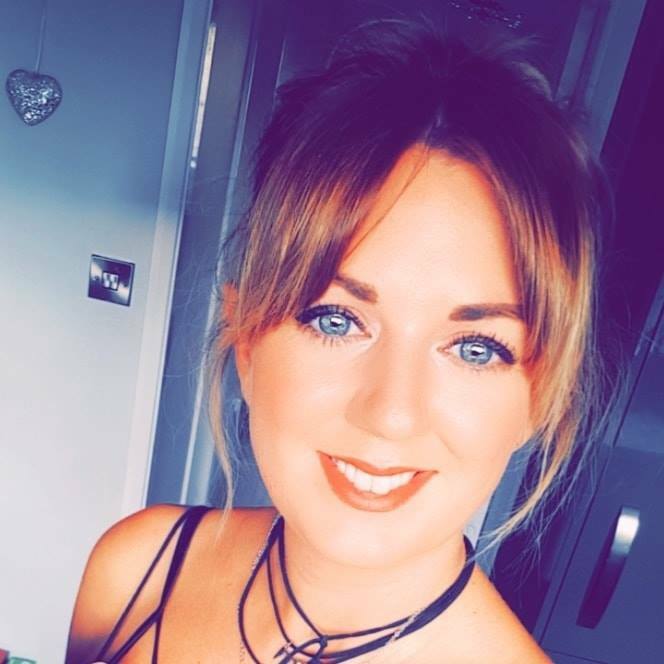 When a product promises to remove makeup, brighten and renew whilst helping the skin in the anti-ageing process.. well let's just say there's no holding me back! 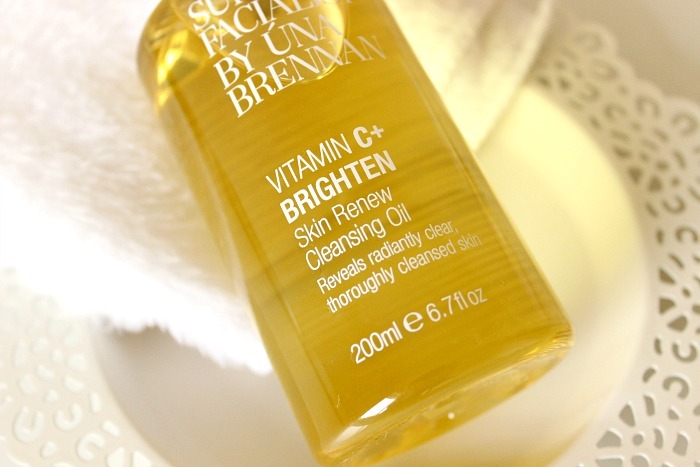 Enter the Superfacialist by Una Brennan Vitamin C+ Brighten Skin Renew Cleansing Oil. What a mouthful! My dry skin and I are a huge fan of cleansing oils, balms and butters. 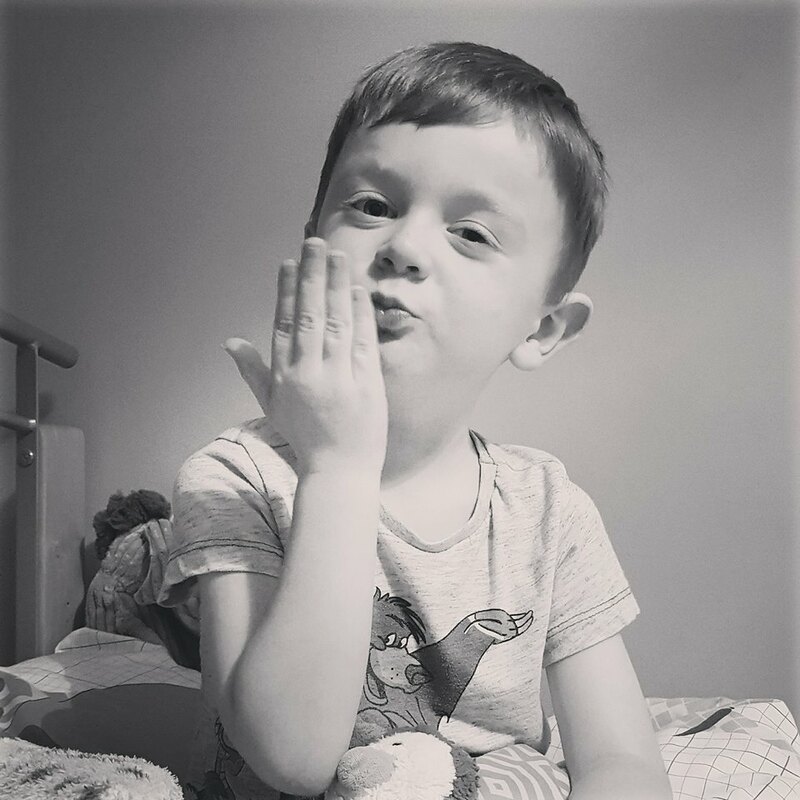 I just love the feeling of applying a product straight to a face full of makeup, watching it remove said makeup and rinse off all in one step. 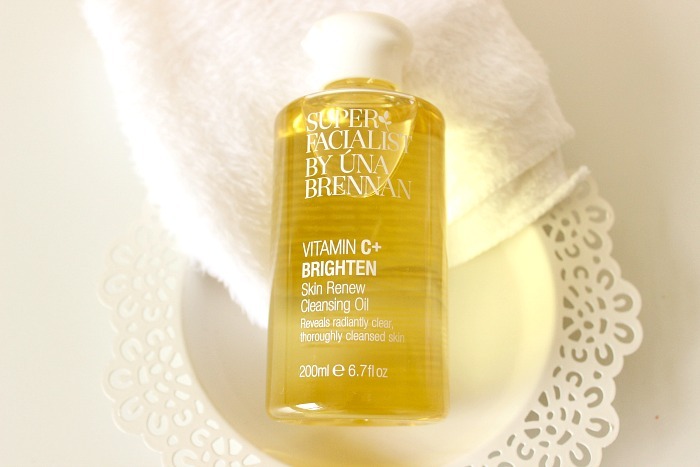 After reading lots about Una Brennan's Superfacialist range, I knew it was time to give it a try, so when my most recent cleanser (The Body Shop's Camomile Cleansing Butter) ran out, I tottled off to Boots to pick up this bad boy to see how it compared. This lightweight oil has an extremely strong orangey scent, which isn't a deal breaker for me, I quite like it, but I know a lot of people are put off by strong scents so it's something to note. When massaged straight onto dry skin, it works in really well and removes makeup (including waterproof mascara) with ease. With most products like this, I like to take a damp cloth to remove, as opposed to rinsing. When done in this way, it leaves my skin feeling clean and nourished, with no trace of grease or oil left behind. I've been really impressed with this oil, and my skin definitely looks and feels healthier since using it. At £10.99 for 200ml, you'd think it seemed quite steep for a highstreet brand, but this is literally going to last months, as I've only been using the tiniest drop to do my whole face. Have you tried anything from Una Brennan?